If you are old enough to have gray hair, it’s likely some of them are “gifts” from piano students. If you’re not old enough to have gray hair then you have probably, at times, felt like pulling a few strands out. Trust me, I’ve been there. In fact, I’ve been there so many times that I’ve written numerous articles outlining the strategies that I have used to turn difficult piano students into students I actually looked forward to teaching. As the spring months show up on our calendar, Trevor and I get an influx of emails from piano teachers asking for guidance in teaching their wiggly, hard-to-focus, defiant and otherwise “tough to teach” students. For this reason, today we’re sharing a “Survival Guide” for piano teachers created from 9 of our most helpful posts on this topic. 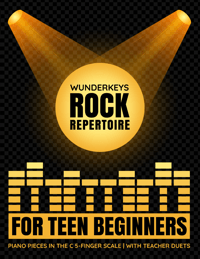 While there is never a cookie-cutter formula that is guaranteed to work every single time with every single student, there are several different approaches you can take when it comes to teaching challenging piano students. In the post below we aim to help you find the one that works best for you. Piano students can be “tough to teach” for many reasons, but there is always a strategy you can employ to assist you and your students in finding happiness and making progress in your lesson time together. Check out our resources below. Wiggly piano students just can’t sit still… and during their lesson times, you probably wonder how they’ll ever retain anything you are teaching. These students aim to please, but sitting still for any length of time just isn’t an option for their busy bodies. 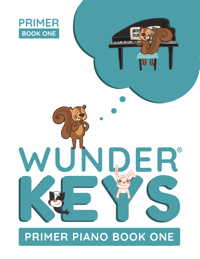 How To Teach Piano To Wiggly Walter: In this post, we share 5 activities that you can use with your young piano students as a mid-lesson break or as a reward for an extended period of quiet focus; hereby getting rid of the wiggles in a positive way. How To Teach Piano To Anthony “Ants-In-His-Pants”: This post was inspired by a student who actually climbed my french doors. Many piano teachers will not put up with students who demonstrate this kind of behavior but I was desperate to grow my studio… and I enjoy a good challenge. If you also enjoy a good challenge and the reward that comes from an “Anthony” performing at an end of year recital, you’ll want to read the 5 strategies in this post. 6 Piano Teaching Strategies For Fidgety Piano Students: Some piano students are not “off the wall”, they are just fidgety. While these students are easier to manage in a lesson than “Anthony”, their lack of focus can be detrimental to their musical development. In this post, we show you how to redirect the attention of your fidgety students. Hard-to-focus piano students may be adept at sitting still, but are constantly off-topic and are easily distracted. If you find yourself repeating the same information over and over again, or struggling to re-direct their attention to music-related topics we can help. 8 Hidden Distractions That May Be Affecting Your Piano Students: The simplest way to deal with distracted students is to remove the distractions. But often, distractions that are visible to students are invisible to teachers. In this post, we’ll help you find 8 hidden distractions that may be disrupting your piano students. 4 Focus-Enhancing Tools For Kids With Busy Brains: Some piano students have busy bodies. Other piano students have busy brains. 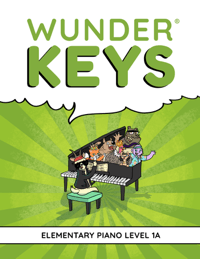 In this post, we’ll help you teach piano students who just can’t get their minds on track. Even My “Perfect” Piano Students Need These 7 Focus-Enhancing Activities: Quiet piano students can be just as tricky to teach as busy piano students. These students can often get overlooked because of their good manners, only to leave teachers baffled when they aren’t making progress. If you have a quiet student who is moving along slowly, chances are, her piano brain needs a break and then a shift in focus during a lesson. In this post, we share 7 simple ways to make this happen. Sometimes we encounter a piano student whose behavior is difficult, not because they are easily-distracted or need to move, but because they flat out refuse to complete tasks, are non-responsive or otherwise defiant. 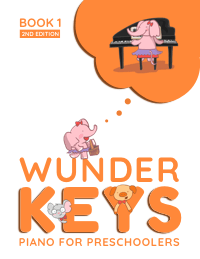 How To Teach Piano To Lions and Tigers and Bears, Oh My! 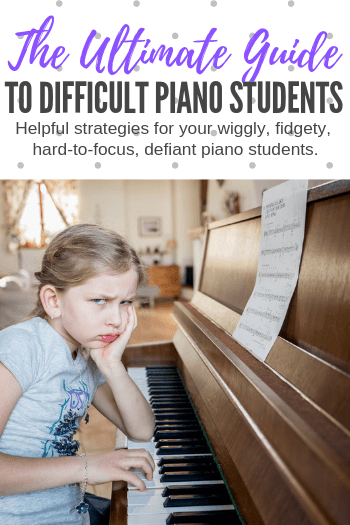 : If you teach head-strong, defiant, challenging, stubborn, disrespectful, argumentative and non-compliant piano students we can save your sanity with the strategies in this post. 10 Reasons Why Your Students’ Mood Suddenly Changed Mid-Lesson: If you have ever taught a piano lesson to a perfectly polite student who had a sudden shift in emotion, this post will help explain the behavior and with that understanding will come the ability to save your lesson. When The Honeymoon Is Over: How To Re-Establish Boundaries With Piano Students: When you begin teaching new piano students everything is always roses and rainbows. It doesn’t take long, however, before the “honeymoon” is over and some students start to test your teaching limits. When this happens, the ideas in this post will help. Sometimes tough-to-teach students are simply bored with the music they are playing. When this happens, it can help to switch up your repertoire choices. 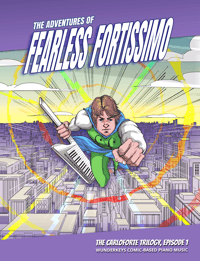 If you teach defiant, hard-to-focus, or just plain “Tough To Teach” students it may be time to introduce them to our comic-based piano music series, The Adventures of Fearless Fortissimo. Each book in the collection turns original piano pieces into the backdrop for a thrilling comic adventure. As your children learn the music they become the driving force behind the story. Drawn into the tale, they will be keen to perfect each new piece to help the story unfold. 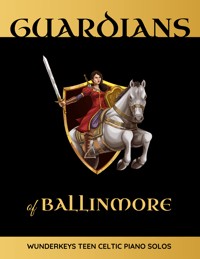 The Carloforte Trilogy, Episode 1 is the first of three books in The Adventures of Fearless Fortissimo, Series 1. 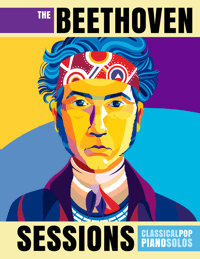 The 10 piano pieces are composed for children aged nine to twelve who are working in a Level 2 method book. Check out The Adventures of Fearless Fortissimo here on Amazon.